Explore the tile-based map, uncovering bonuses that will swing the tide of battle in your favor! Explorers of Ixalan is a multiplayer free-for-all battle, so don't let your opponents conquer your site tiles! Some tiles you discover will have immediate effects on the game, while others will reward you when their conditions are met. Play as one one of four rival tribes: Vampires, Pirates, Merfolk, or Dinosaurs. Defend the city against your opponents and claim dominion over Ixalan! Map tiles bring the game to different locations across Ixalan. The inner jungles of Ixalan conceal many powerful secrets! 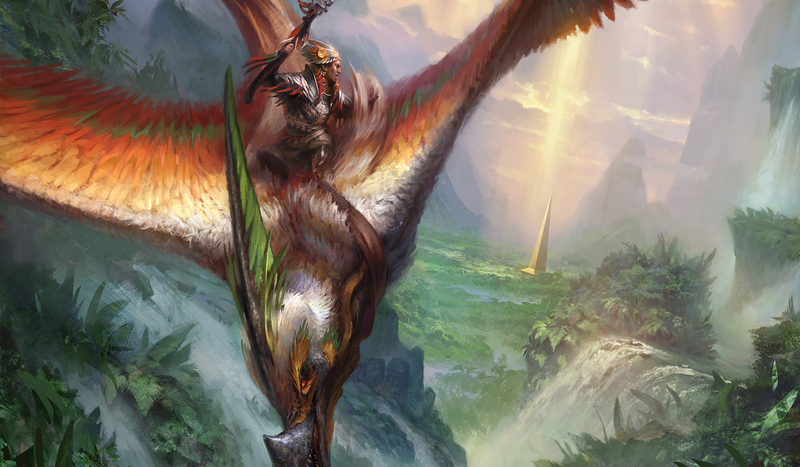 Along with your four 60-card decks, you will find 8 new pieces of Magic artwork!